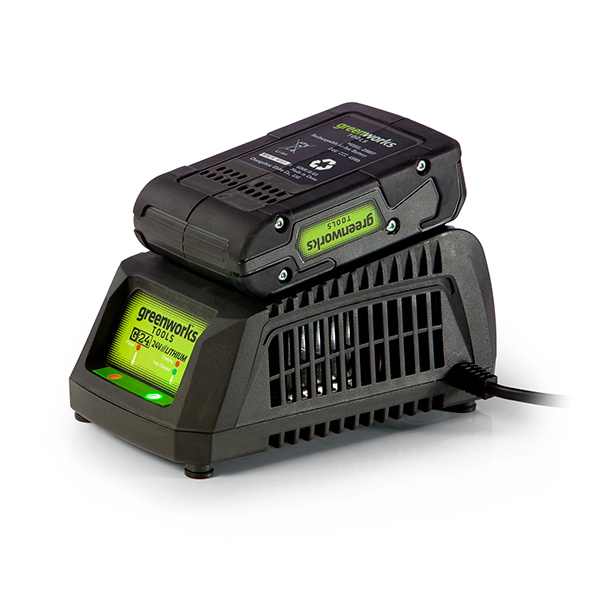 Give life to your Greenworks 24V batteries with the powerful fast charger and spare 2Ah Lithium-ion battery set. Designed with smart LED indicators to let you know once your battery is fully charged, the lightweight charger is mountable on the wall to keep it out of sight and out of mind when you’re finished. 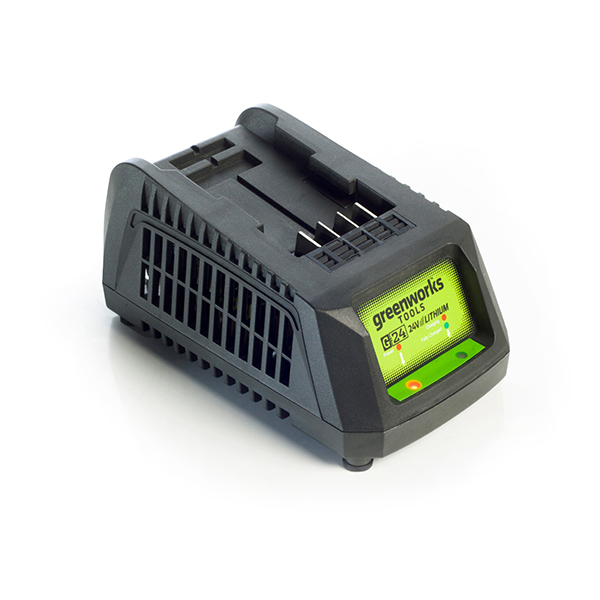 It charges the 2Ah battery in just 45 minutes and 4Ah in 90 mins, so you can quickly get back to the job at hand.